What is Happening to me? | Helmet or Heels: I'm comfortable in either! This entry was posted in Good Health and tagged 5K, ASICS, C25K, change, dream, goals, health, The Color Run, Training. Bookmark the permalink. Woohoo! I’m rooting for you. I’ve given this a thought before, but it was fleeting and my senses returned. 😉 I know you can do it and look forward to your progress. Maybe you will inspire some of us. I think its been too cold for my senses to return. I’m committed now! Richard – You’re right, I’m sure I can walk the 5K! I’m reading up on how to prepare. Glad I have time, just have to make sure I don’t waste it. Richard – this is when I wish there was a like button for comments! Foolish indeed. Good for you Pam. It is easier than you think. I did my first 5k with Meg last year and was surprised when I ran most of it. I am used to just walking fast. Slow jogs are easier than running. Pace yourself and have fun. Thanks for the encouragement! I’ve never been a jogger, just walked a lot. It will be interesting preparing for this. You will get there!!! Love the pink sneaks. I hope the app works! 27 weeks is a significant amount of time, you can do this! Thank you Princess Scooterpie! So far time is on my side when age isn’t! Way to go, girl. 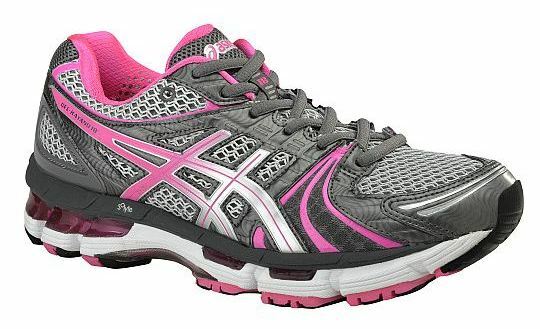 In a manner of speaking… I also started my daily walks with the purchase of new walking shoes. Good plan! Thanks Sonja! New shoes always help. Thanks for the vote of confidence! I’m guessing i’ll finish it one way or the other! Pam, I think this is fantastic! Good for you, not only for going for it, but giving yourself enough time to build up safely and sensibly! Kudos! Thank you Liz for the encouragement and the kudos! It is going to be an interesting journey! I have been thinking of signing up for the MPLS color run too! I will have to try to meet you! You can do it. ! Pingback: How I think I look and reality! | Helmet or Heels: I'm comfortable in either! Pingback: I did The Color Run 5K! | Helmet or Heels: I'm comfortable in either!